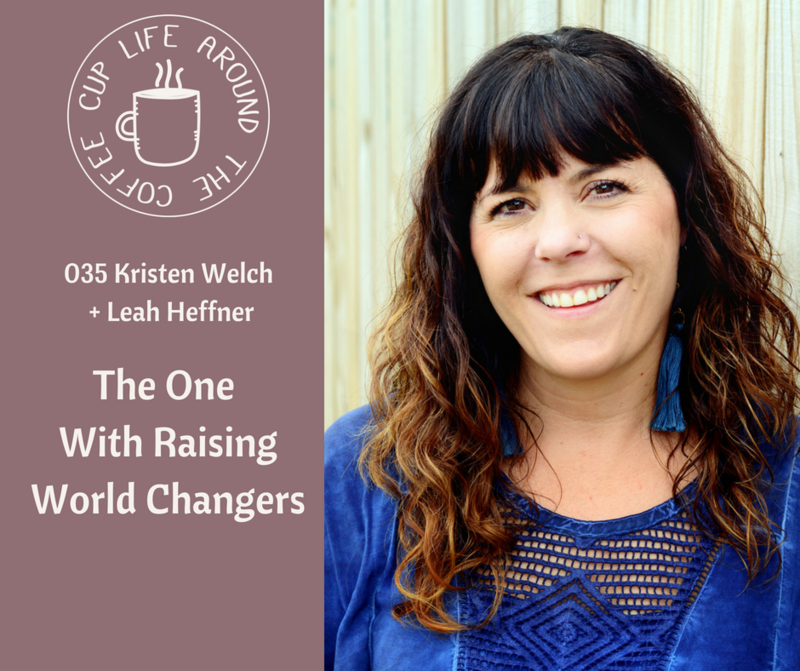 Kristen Welch + Leah talk about raising world changers, about living out your family values, and about righting the train and the tracks when you need to. Kristen Welch was born and raised in Texas. Her parenting blog, We are THAT Family, has been online encouraging and inspiring mothers for more than a decade. She is the author of Rhinestone Jesus, Raising Grateful Kids in an Entitled World and Raising World Changers in a Changing World that released May 1. Kristen is the founder of Mercy House, a nonprofit maternity home in Kenya the rescues young pregnant girls from extreme poverty. She also started Fair Trade Friday through Mercy House, which is a fair trade subscription club that empowers impoverished women in 31 countries. Welch lives with her family in Texas.